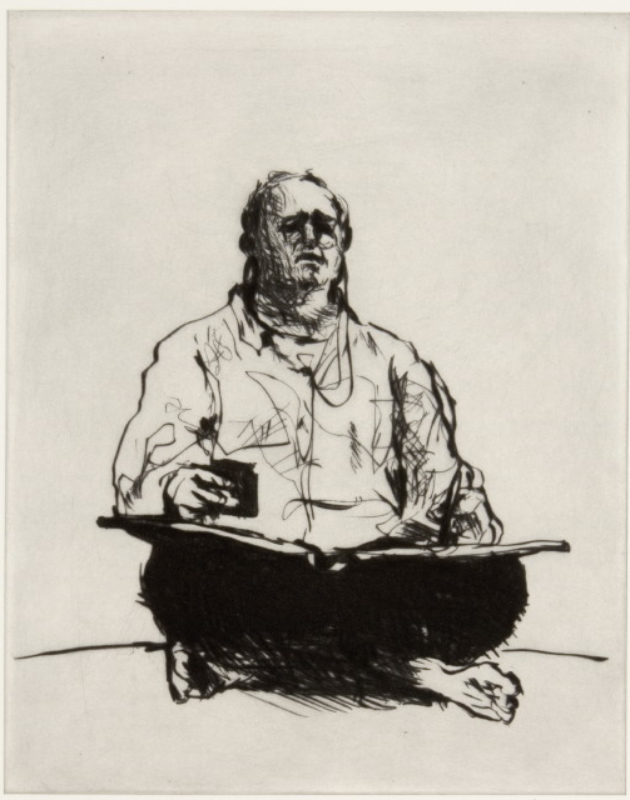 The Scribe print came from William Kentridge work on the project he did for the Louvre in June 2010 titled Carnets d’Egypte (Egyptian Sketchbooks). For this exhibition, Kentridge made 16 short films that were shown in the Egyptian Collection wing of the Louvre. 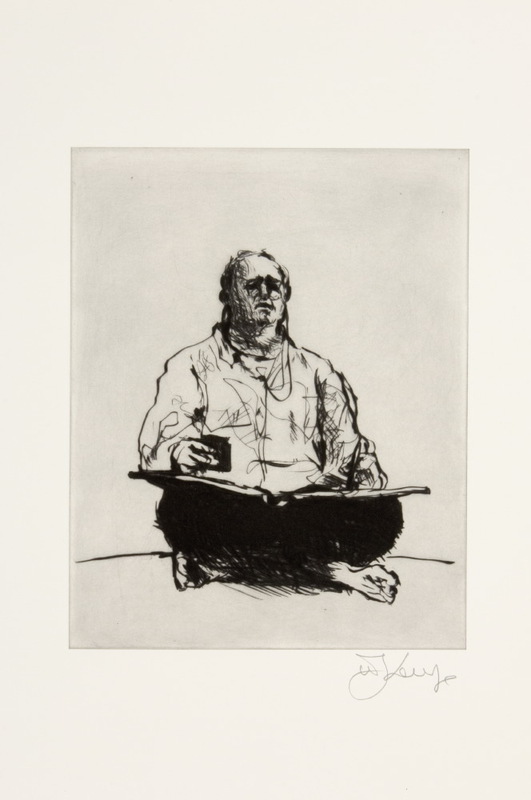 Some of the images that Kentridge made, both in film as and in drawings, were of the scribe. Here the artist puts himself in the scene, adopting the position of the scribe, while he recited Percy Bysshe Shelley’s famous poem Ozymandias ­– an ode to Ramses II. One of the short films titled Scribe, involves the silent interaction between the two scribes where both characters are played by Kentridge. From this project, the scribe was adapted into another work – this small etching, some photogravures by master printer RANDY Hemminghaus, as well as charcoal drawings on multiple pages. Ancient Egypt is a theme that first appeared in Kentridge’s work in 2004 in preparation for his staging of Mozarts comic opera, The Magic Flute.